Join the discussion on our forums! 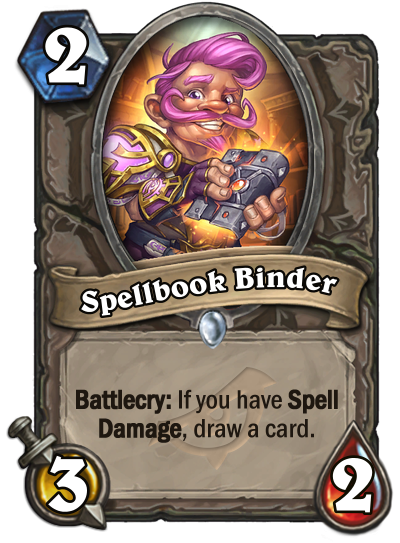 Come discuss Spellbook Binder over in our dedicated Spellbook Binder discussion topic. Battlecry: If you have Spell Damage, draw a card. You're bound to love his work! This card is very good in even shaman! On the board or in hand? Warfstache finally getting his cameo!